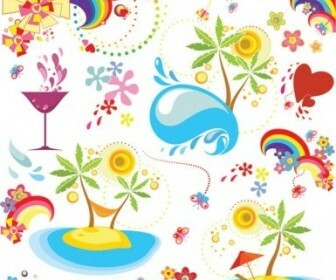 Freebies vector Summer Fun Dynamic Element Vector Art – Zip vector file 0.59 MB Encapsulated PostScript (.EPS) format. 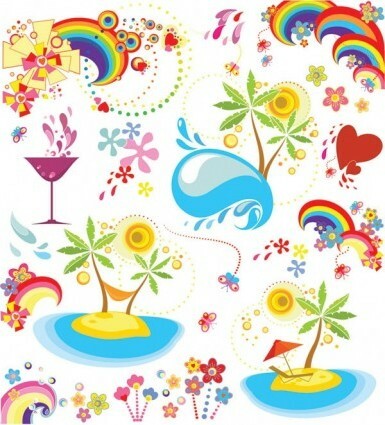 Vector Summer, Waves, Rainbows, Coconut, Tree, Heart-shaped, Liquid, Island. Get this free vector graphic for your vector art stock and card background design, business cards printing or tshirt design ideas collection.